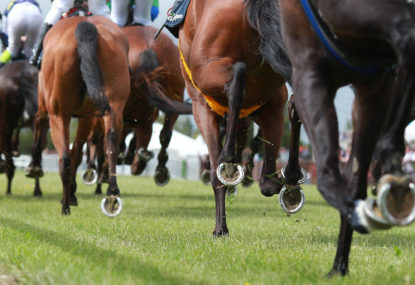 Breaking into the senior ranks is very difficult for jockeys due to the limited number of metropolitan meetings and long jockey career spans but it’s great to see when youngsters barge their way into senior city ranks by riding continuously riding winners. On Saturday, apprentice Winona Costin firmly put herself on the radar when she rode five winners at Sapphire Coast. Costin, 18, is currently apprenticed to Mick Tubman at Kembla Grange and her consistent performances at country races across New South Wales have her positioned to make a move to Sydney later in the year where she will be a 3kg claimer. Costin continues the trend of young female riders coming through the ranks who are slowly making their presence felt on the metropolitan circuit. Another one of those is Katelyn Mallyon who has been a shining light in Melbourne since returning from injury. 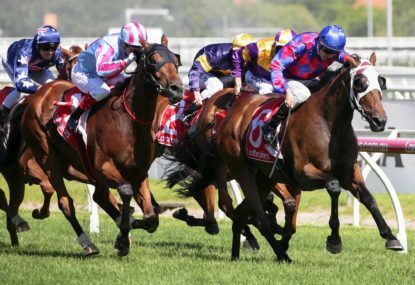 The former Victorian champion apprentice struggled to find form during the 2012-13 season due to a spate of injuries but she’s now back and on fire. 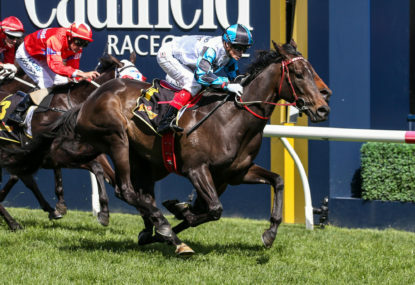 Since the beginning of the current season, the 19-year-old’s form has warranted continuous metropolitan rides from the Mat Ellerton and Simon Zahra yard. 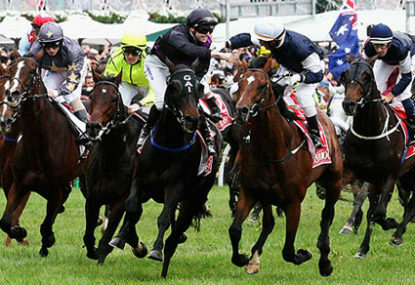 Currently a 2kg claimer, Mallyon sits seventh on the Melbourne jockey premiership with 16 city winners from her 108 rides. 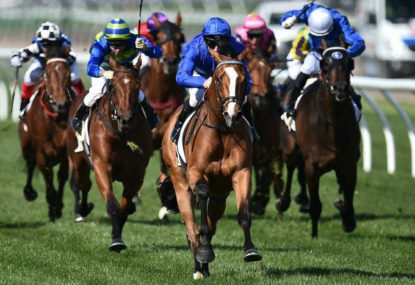 Maximising her limited opportunities, Mallyon amazingly has a 14.80 per cent strike rate when riding in the city and sits behind only Damien Oliver, Nick Hall and Nash Rawiller in that category. In any conversation about promising apprentices, 18-year-old Jamie Kah springs to mind but her move to Melbourne over the summer probably hasn’t met the outrageously high standards she set in Adelaide last season. 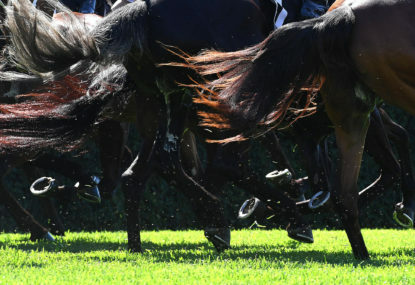 Kah’s move to Melbourne where she is apprenticed to Mick Price took a few weeks to get rolling but she finally clocked up her first city winner on the weekend when she gave Sistine Demon a perfect front running ride. Having won the South Australian jockey premiership as an apprentice last year, Kah’s list of winners is set to skyrocket any day now and we can expect to see a lot of her during the Melbourne autumn. But it’s not all about the girls. Following the trend of young jockeys moving interstate to gain better exposure and experience at different racetrack, Damien Thornton,18, is now based in Sydney after finishing tenth in last year’s Melbourne jockey premiership with 25 city winners. Since moving to Sydney under Gerald Ryan in September, Thornton has notched up nine metropolitan winners from his 80 rides at 11.20 per cent, the highest of any Sydney apprentice with 30 rides or more. While most apprentices move to Melbourne or Sydney to gain further exposure, Anthony Allen made the move from Sydney to Brisbane where he currently sits 9th on the Brisbane jockey premiership with 20 winners. 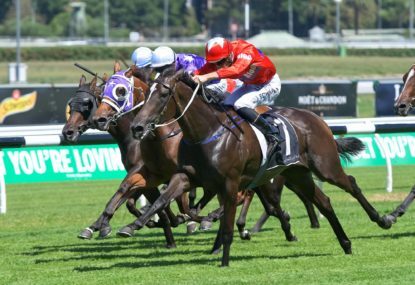 A 1.5kg claimer, Allen immediately made his presence felt in Queensland when he won five races on Doomben card to become only the second apprentice in history to do so at a Queensland metropolitan meeting (Costin’s five at the Sapphire Coast was a country meeting). In Brisbane, Allen regularly rides for the powerhouse Rob Heathcoate stable and when he’s not, he has no shortage of rides. In fact, Allen sits three city winners above Heathcoate’s first choice stable rider, Damien Browne, on the premiership table. Young jockeys are great to watch because they do the hard yards through extensive stints in country racing and are given very few opportunities at metropolitan meets. To see all of these young apprentice jockeys challenging industry veterans is great to see because their opportunities are so hard to come by in racing.